Express course for upper-intermediate students! Express course upper-intermediate is created for those who want to improve their English, brush up their knowledge. 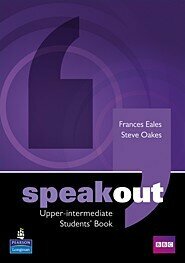 Teaching English is carried out with the student’s book Speak out and additional materials. This course essentially improves your speaking skills on the upper-intermediate level. It comprises 10 class-room studies, each has 2 academic hours. If you have chosen a distant course, then one study corresponds 2 skype lessons (60 minutes each). Invite your friend and enjoy a 20% discount !